Description: If you’re looking to maximize your vehicle’s performance potential and drivability with a simple download, the aFe SCORCHER PRO Performance Programmer is for you. The SCORCHER PRO Performance Programmer is an all-in-one, performance programmer that provides specially calibrated tunes for vehicles equipped with aFe POWER products* delivering more horsepower and torque when you need it. With cloud based tune delivery and built in Wi-Fi capability, you can download aFe’s custom tunes whenever or wherever you want it. With its data logging monitoring capabilities, you can display critical vehicle data using full color on-screen, customizable gauges. It's the ultimate in performance enhancements in that it is tailored to fit your vehicles specific modifications and ECU to perform perfectly and produce maximum power gains. The SCORCHER PRO Performance Programmer does not support any changes to your vehicle’s emission system. All-in-one, performance programmer that provides specially calibrated tunes for vehicles equipped with aFe POWER products* to maximize your vehicles performance potential and drivability with a simple download. It's the ultimate in performance enhancements. Customized tunes to reprogram your vehicles ECU to perform perfectly and produce maximum horsepower with aFe POWER products. The customer needs to register online (www.afepower.com/scorcherpro/register) and enter vehicle information to receive his custom tunes. Connects to the vehicle’s OBDII port and has Wi-Fi capability so you can download aFe POWER’s custom tunes whenever or wherever you want. Can also be connected to a PC to download aFe POWER custom tunes. Monitor and display critical vehicle data using on-screen, full color customizable gauges. View, capture or download your vehicle’s data on one device. The SCORCHER PRO Performance Programmer offers the capability to reads and clear DTC’s (diagnostic trouble codes). 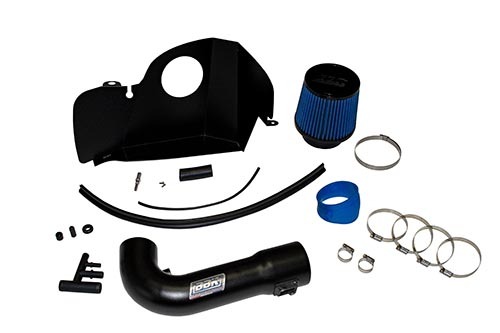 A custom CAD designed roto-molded housing made from heat soak resistant material eliminates the use of multiple components and ensures the coolest air intake charge available. A large clear sight window allows for filter inspection without removal of the airbox. The roto-molded housing is made out of black cross-linked polyethylene. A urethane plug is also included if you wish to completely seal the airbox. 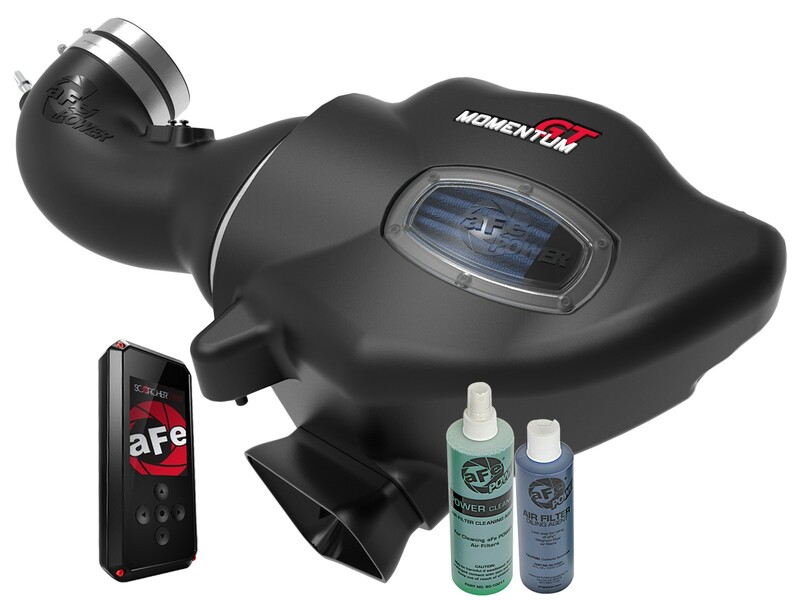 This SCORCHER PRO Plus Package is not CARB exempt at this time and is not legal for sale in California or use on vehicles registered with the California Department of Motor Vehicles.